When I started the Wanderings series here on the bog, my thought was to include my discoveries in the world of art, craft and design away from home. The past few days I have been on a trip that I had not imagined for this series. My previous posts explains about my husband's sculptures and his being invited to give a TEDx talk at Bowling Green State University in Ohio. Yesterday was his talk and today as I await our flight home I'll try to share a little of the experience. 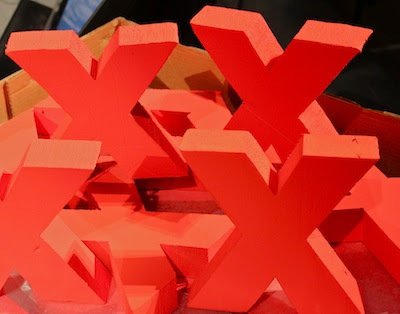 The TEDx series is independently organized TED events. It is local people trying to bring the TED experience to their communities. It is an effort to continue the goal of spreading "Ideas Worth Sharing". 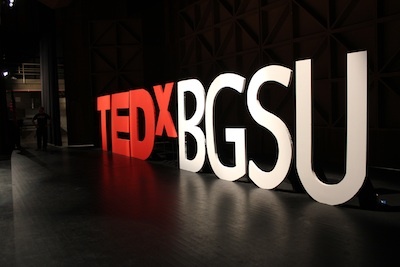 You can visit the TEDx site and search for similar events in your area. They are world wide. I recommend it. I found it to be thought provoking and inspiring. This event was coordinated by a group of five students at the university. Just being on a college campus with its energy can be inspiring. Eighteen presenters from around the United States talked about a range of topics from urban gardening with kids, to changing the American perception of the perfect body, to developing an online database of healthcare facility outcomes to allow us to better choose our healthcare providers. David hasn't spoken in public since the fifth grade so we spent a lot of time together crafting his presentation and then rehearsing. He did an excellent job and if you ever choose to do a public talk I recommend practice, practice, practice! 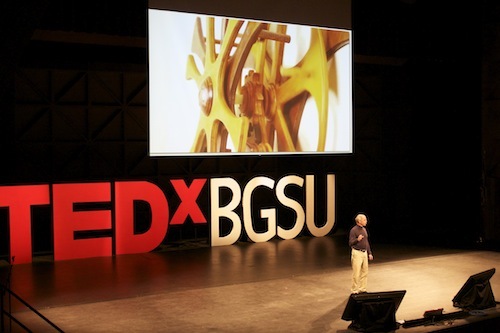 Here is a photo of David doing his TEDx Talk. It was a rush and moment of pride to see him on stage, with his work displayed in huge scale behind him, sharing our story. I'll post the link when the video presentation becomes available! Odds 'n Ends • Coffee Filter?